A quick look at what’s unique in the Marvel Dice Masters: Uncanny X-Men 2-Player Starter Set. Wolverine, Kitty Pryde, Cyclops, Angel, Juggernaut, Magneto, Quicksilver and Iceman. The basic action dice colors in the set are purple, orange, brown and pink. Out of the 10 Basic action cards, 6 have a purchasing cost of 3 and 4 have a cost of 4. A few that stood out from the other Dice Masters sets were Possession, Imprisoned and Feedback. Possession allows you to control an opposing character and attack with it, that’s one more attacker for you and one less blocker for your opponent! Imprisoned can really change a round up as it allows your action die to capture (temporarily remove) any number of your opposing player’s characters with a fielding cost of 2 or less. The are set free once you damage your opponent or when effect is canceled. This could allow you to completely devastate your opponent by clearing their field and then attacking with a huge force. Feedback allows you to do 1 damage to your opponent for each of thier characters that gets knocked out. A great bonus if your opponent has a field full of sidekicks! 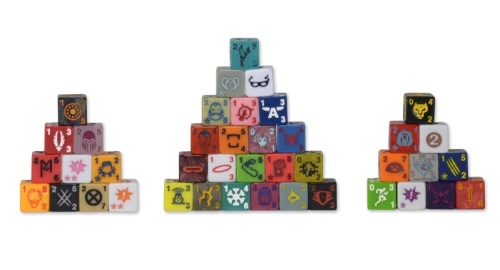 Dice Masters is an all-new cross-brand offering utilizing WizKids Games' proprietary Dice Building Game platform where players collect and assemble their "team" of character dice and battle in head-to-head game play. Marvel Dice Masters: Uncanny X-Men features fan favorites like Wolverine, Magneto, Cyclops, Iceman, Psylocke, the Sentinels and MORE! With game-play that supports two players in epic dice battles, Marvel Dice Masters: Uncanny X-Men will continue all of the x-citing action introduced in Marvel Dice Masters: Avengers vs. X-Men! 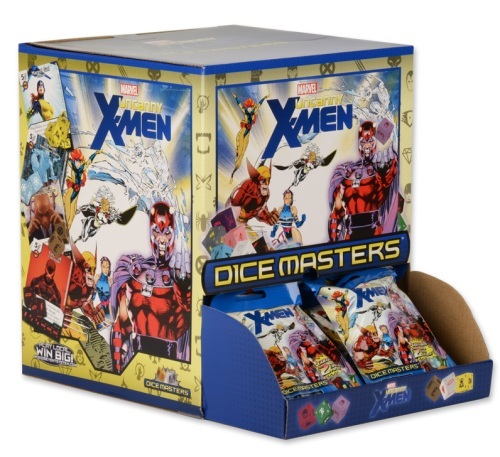 The Marvel Dice Masters: Uncanny X-Men Starter Set is the second starter release for the Dice Masters game. This innovative collectible allows players to increase their Dice Masters collection or jump into the game fresh! The Marvel Dice Masters: Uncanny X-Men Starter Set comes with 44 custom dice, 38 cards, two dice bags, and a core rulebook. Booster packs include two dice with two matching character cards. As expected, this set focus mainly in our favorite mutant heroes (and villains). The new global abilities seen here are really good (PXG, anyone?) and have become fan favorite in no time. Other abilities, as previously mentioned, have still to prove their worth – Heroic requires you to have 2 characters on the field with this condition and after assigning the team duo, you get an ability from each one of them. Sadly, most of them aren’t worthy of the trouble to field expensive characters that met this criteria. The only sad part about this expansion is that Wizkids have stated that even when the dice from characters that appear both in AvX and UXM share the same stats and burst icons, they can’t be mixed. How is this? Let’s say you have a Wolverine AvX card and 2 yellow dice from said set. Then you get your hands on another Wolvie, but from UXM, which has blue dice but the same stats/face die/burst icon as the yellow one. One would thing you could mix them up since they are basically the same dice (but different color, pardon that minor detail) and only the card is the one that can’t be duplicated on your team, but that would be incorrect. A great expansion (and more to come, thankfully) and cheap as the core game. 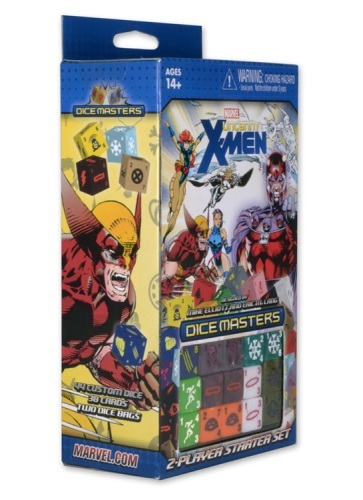 Add a Review for "Marvel Dice Masters: Uncanny X-Men"